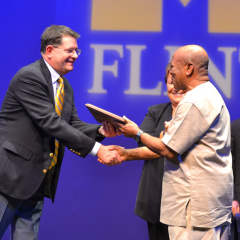 UM-Flint's will be the first physician assistant program offered at a University of Michigan campus. 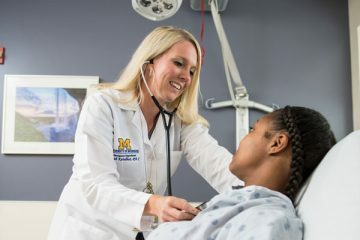 The University of Michigan-Flint will add a new Physician Assistant Department in the College of Health Sciences October 1, as the campus prepares for a Master of Science Physician Assistant (MSPA) program, slated to launch in June 2020. The MSPA program will be the first physician assistant program offered at any of the three University of Michigan campuses. The new physician assistant department also will serve as the foundation for the future growth and expansion of related academic offerings. The new program will enroll 40-50 students per cohort in the 27-month program. UM-Flint has seen a sizable spike in interest for its health sciences programs, which has led to the expansion of programming in the College of Health Sciences over the past few years. 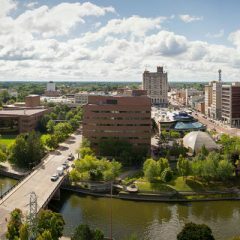 Once the MSPA program is well-established, the college plans to add post-graduate residency programs and joint programs with UM-Flint’s Master of Business Administration and the Master of Public Health. In addition, the College of Health Sciences plans to include physician assistant participation in a joint doctoral program with other departments that will be proposed within the next few years. 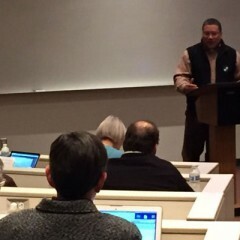 Additional faculty will be added to the department as these programs are developed.